Located between the Pacific and Indian Oceans, Australia is the world’s largest island and its smallest continent. 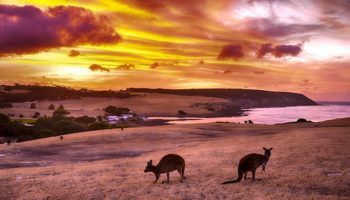 There’s room to move in the Land Down Under, and with so many sights to discover and enjoy, there’s a great incentive to go on a walkabout adventure. 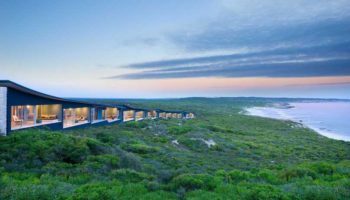 Whether exploring the traditional lifestyle of the nation’s Aboriginal people, relaxing on a sun-kissed beach or reveling the night away in a city hot spot, Australia has something special to offer every visitor. 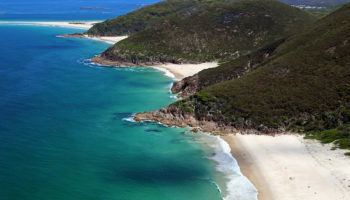 With amazing national parks dotted around the country and some fantastic islands, visitors to Australia can be off exploring the delights of Tasmania one minute and Kakadu and Uluru-Kata Tjuta National Parks the next. On top of this, the beautiful beaches and turquoise waters that line its shores are home to the jaw-dropping Great Barrier Reef; one of the miracles of the natural world and one of Australia’s most popular tourist destinations. With loads of great things to see and do, you’ll have your job cut out trying to fit everything into your trip! Although Cairns itself is quite an unattractive place, the rainforests that surround it and the beautiful turquoise waters that lap against its beaches more than make up for the lack of sights in the city. 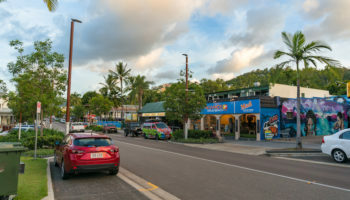 A popular tourist destination, the city is considered to be the gateway to the Great Barrier Reef; this is the primary reason why Cairns is so inundated with tourists. Away from the reef, there are loads of amazing natural sights nearby, and lots of people stop by Cairns on their way to visit Daintree National Park or the Wet Tropics of Queensland. The fourth most popular city to visit in Australia, Cairns has enough good bars, restaurants and shopping options to keep visitors entertained before they head off into the stunning nature nearby. A laidback city with a peaceful atmosphere, Adelaide’s quiet streets are lined with bars, which make it a surprisingly fun place to go out in; there are lots of great music venues worth checking out. Nicknamed ‘the city of churches’, the lofty spires dotted about here and there add to the picturesque nature of Adelaide and there are lots of nice parks and green spaces for locals and visitors alike to enjoy. With some great museums on offer as well as fantastic restaurants and art galleries, the highlight of the year is undoubtedly ‘Mad March,’ when the city host numerous festivals, events and shows at the same time. Surrounded by verdant land which is perfect for cultivating vineyards, make sure to try some of the refreshing wines before you head off on your travels. The island state of Tasmania may be isolated from the rest of the country but it still remains one of the best places to visit in Australia; almost half of its area is protected as the government looks to preserve the natural riches. With desolate wilderness and alpine plateaus interspersed with stunning white beaches, waterfalls, and forests, exploring its terrain is simply mesmerizing. Taking a boat trip along its craggy coast is equally rewarding and you can even see dolphins, penguins, and seals along the way. With lots of great local produce on offer, eating and drinking in the capital city of Hobart is an absolute pleasure and the restaurants and bars are divine. On top of all this, the island hosts an eclectic range of great festivals throughout the year, where you can enjoy local beer and wine or arts and music events. The capital of Western Australia, Perth is very isolated from the rest of the country, yet is routinely considered one of the most livable cities in the world thanks to its laidback vibe, fantastic cultural sites, and range of services on offer. A youthful place, Perth is nearly always bathed in sunshine and its stunning beaches are perfect for kicking back and relaxing on. Away from the beach, there are lots of outdoor activities for you to enjoy. There are loads of fantastic museums on offer as well as some great shopping options in this city of nearly two million people. With a huge of variety of bars, cafes and restaurants, isolated Perth is the perfect gateway to the rest of the west. A popular tourist destination, Brisbane is a lively, dynamic place that is bathed in beautiful sunshine year-round. 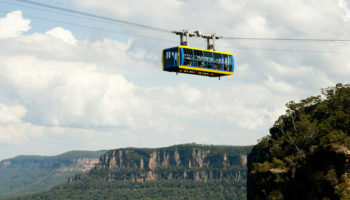 It has a population of about 2 million people, making it the third-largest city in Australia, after Sydney and Melbourne. Located in the Sunshine State, many visitors stop by on their way to the fantastic resorts and beaches that lie to its north and south. Set alongside the Brisbane River, the city’s fantastic climate means that outdoor activities are very popular here; you can take your pick from a huge catalog, with biking, climbing, and hiking featuring prominently. A fun and friendly city, Brisbane’s vibrant music scene has made it one of the music capitals of the world and there are lots of venues in town where you can enjoy a great show. With loads of brilliant restaurants and bars for you to choose from, Brisbane is not to be missed. Occupied by Aboriginal people for over 40,000 years, Kakadu National Park has over five thousand ancient rock art sites which are fascinating to visit. It is a place of immense cultural and natural significance. The park is huge and contains some stunning natural sights which make it well worth a visit; the Kakadu Escarpment is particularly breathtaking. With diverse ecosystems contained within the park’s boundaries, you can be hiking through deserted sandstone escarpments one minute and bathing in waterfalls and pools the next, before later on learning about some of the ancient rock paintings. While it can get very popular, Kakadu’s huge area means that you can easily enjoy all the park has to offer in peace and quiet if you step off the beaten path a little. Second only to Sydney, Melbourne is a cool, cosmopolitan city that is considered by many to be Australia’s capital of culture. With lots of great art galleries, some fantastic museums, and a lively music scene, there is always something to see or do in the country’s second largest city. Due to its high quality of life, citizens from around the world have flocked to the streets. Its multicultural population is reflected in the delicious cuisine on offer and the unique neighborhoods that make it such a fascinating place to explore. 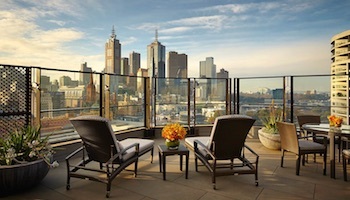 With a European feel about it thanks to the architecture on show, wandering around the city’s streets and numerous green spaces will inevitably make you fall in love with Melbourne. The largest coral reef system on the face of the earth, the Great Barrier Reef is simply colossal. Stretching for over 2,300 kilometers, it is remarkably visible from space, and nine hundred islands dot this enormous ecosystem, which is actually comprised of 2,900 individual reefs. Visiting the Great Barrier Reef is a humbling experience; every year around two million visitors enjoy all that this natural wonder has to offer. Snorkeling and scuba diving are the best ways to experience the joys of the rich underwater world, while boat trips, kayaking, and even helicopter rides offer another view of the reef’s gargantuan proportions. Gently sailing through the perfect turquoise waters, dolphins, sea turtles and the reef itself are visible below the waves – an unforgettable experience. 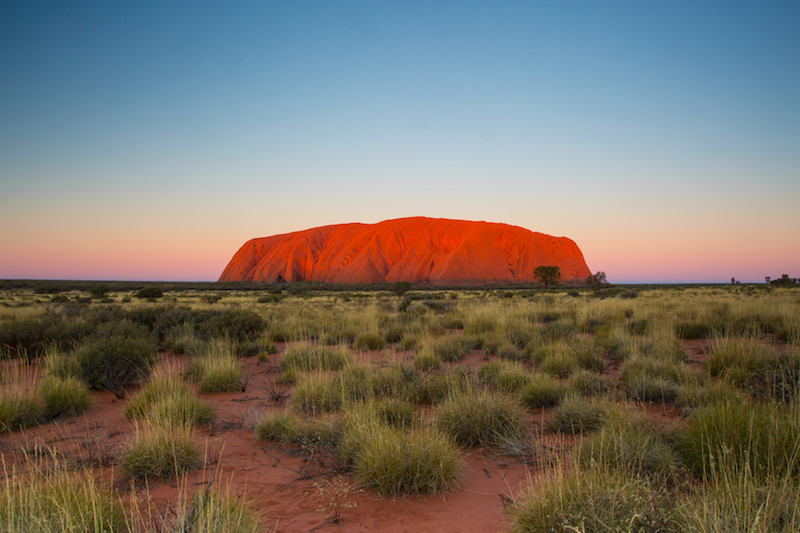 World famous, spectacular Uluru is instantly recognizable due to its ruddy red hue; it is one of Australia’s most prominent landmarks. The immense rock is incredible to visit and the main reason the national park is such a popular destination. Its grandeur and uniqueness live long in the memory of those who gaze upon it. While Uluru is the main draw, the equally mesmerizing rock formations of Kata Tijuta are fantastic to wander around, and there are lots of activities for visitors to enjoy. 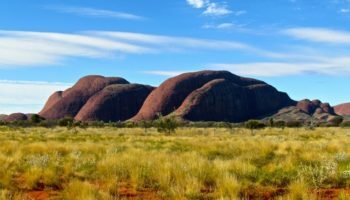 Owned by the Anangu Aboriginal people, the site is of great cultural and spiritual significance to them; you can learn more about their way of life at the brilliant cultural center. With lots of great walks, bike rides and tours for you to enjoy, the astounding beauty of this national park really is awe-inspiring. Almost picture perfect, Sydney is a fantastic city with a lot going for it. A modern city with a long history, Sydney is defined by its scenic harbor. The region’s first inhabitants lived along the harbor’s bank for thousands of years. The harbor was also the landing site for convicts sent to Australia during the 1780s. Today, ferries take visitors for cruises under the famed Sydney Harbor Bridge and past the iconic Sydney Opera House. 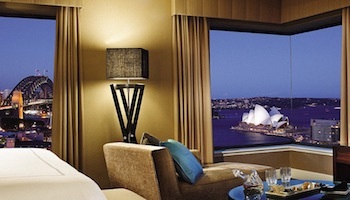 While those famous landmarks are the undoubted highlights, the city has much more to offer. With lots of museums, theaters and cinemas dotted about town, Sydney’s thriving cultural scene means that there is always something to see and do. As such, the city is great to live in and the fantastic beaches on offer only add to its attractiveness. The beautiful Bondi Beach is a must-see when visiting Sydney. 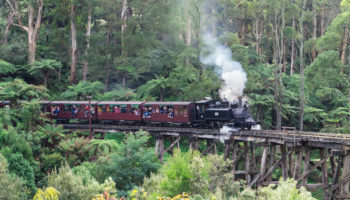 Outdoor activities play a large role in Australian culture. Surrounding the city, there are a number of brilliant national parks for visitors and locals alike to enjoy, as well as some interesting and educational historical sites. A fun and energetic city with a lot going for it; Sydney is without a doubt one of the most popular destinations in Australia. 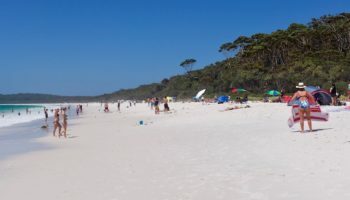 Which destination do you consider the best place to visit in Australia? YAYAYYAYYA!!! Adelaide made the list and its al the top!! South australia is a beautiful state, most people disregard it and dont bother with it but it is a really nice city and the “outback” like the FLinders Ranges are beautiful! Tassie definitely needs to have more recognition. It is a part of Australia that is very different from the rest, especially other parts of Tassie, not just it’s capital, Hobart. Poor tassie always gets cut out from all those Australian souvenirs where it is in the shape of Australia, as it is an island state and often they just don’t include it inside! In 2013 I had the oportunity to visit Australia for the first time. What a good surprise I had! Sydney, Melbourne, Brisbane and Heron Island. So many beautiful places! In march 2016 I’m going again and Hobart is in my list! 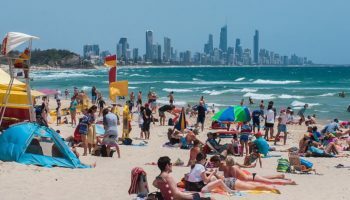 I am surprised Goldcoast is not on the list and places like Alice Spring and Brisbane are within top 10. I think number 1 should be Gold Coast followed by Sydney and Melbourne. @deepak The Gold Coast? Are you kidding? 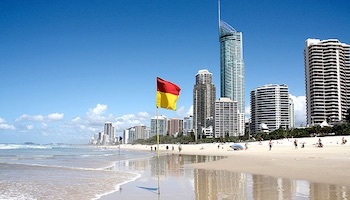 The Gold Coast is the worst place in Australia by a country mile! It is a plastic and concrete abomination to be avoided at all costs. I highly recommend the Great Barrier Reef. Fly to Cairns and split time between Port Douglas and Cairns. You also have direct access to the Rain Forest. This is an amazing part of the world and a must see location. Hopefully everyone will get their act straight and help keep the Great Barrier Reef from getting destroyed. I’m still hoping that I can get to experience this beautiful gift of nature before climate change and pollution destroys it! Loved Steve Irwin and his daughter Bindi so we are going to Brisbane to specifically see their zoo. So hope it is worth the trip.